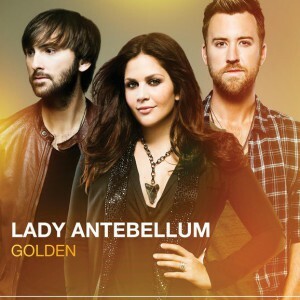 Lady Antebellum developed the sound for new album Golden on the road. 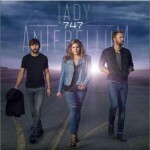 "We were just kind of in that live show mindset for this album," the group's Dave Haywood said in a release about the Grammy-winning country trio's fourth studio album, out May 7. As the group wrote new songs and listened to outside material, its members worked with their road band to create the sound for Golden, which they co-produced with Paul Worley. "We had that perspective of being on a tour and having seen what translates in an arena," Haywood says. "We have a better idea what kind of songs are so relatable where it shakes everybody like, 'Oh, my God, I've totally been there.'" In the same release, singer Hillary Scott says the group "embraced risk" during the making of Golden: "When you are pushing yourself to not go back to the same well, you're gonna come up with something different, or you'll find songs that are different. And that's what happened on this album." Downtown, the first single from Golden, currently sits at No. 5 on USA TODAY's Country airplay chart. 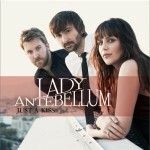 According to Nielsen SoundScan, it has sold 318,000 downloads. The group's 2011 album Own the Night has sold 1.8 million copies. Golden includes a version of Better Off Now (That You're Gone) by Will Hoge, the Nashville rock singer who also co-wrote the Eli Young Band's chart-topping country hit Even If It Breaks Your Heart. Hoge says Lady A's Charles Kelley called him out of the blue, saying he had listened to the song since college and the group wanted to record it. "I tried to play it cool and act like I wasn't overly excited," Hoge says. "Then they invited me in to play harmonica on the track. It was incredible getting to be in the studio and hear their voices work together on the song -- really cool hearing their interpretation of the song, too. I never realized it was a country 'hit' until I heard them do it. I'm really incredibly flattered by the whole thing."